During schedule pickup you will be asked to complete a number of forms. If you would like to save time, many of the forms will be available starting August 1st on the Senior High website for you to print and complete at home before you come in on your designated schedule pickup day. Your student will also have their picture taken for their student ID (school dress code applies). After all forms are completed, fees are paid and picture is taken, your student will receive their schedule and they will be able to tour the school and find their classrooms and locker. The following fees will need to be paid during schedule pick up or a fee waiver (if applying for the Free/Reduced lunch program) must be completed. *Fee can be waived if student qualifies for the Free/Reduced Lunch Program for the 18/19 school year. Applications for the Free/Reduced Lunch Program are now available to do online** or a paper form will be made available at schedule pickup. Even if you qualified last year, a new application must be completed for every year. These applications will be collected as well as fee waivers in the front office.  **Filling and submitting the Free & Reduced Lunch Application online can be accomplished by doing the following: Log into the Portal using the Infinite Campus link on the District website (www.norfolkpublicschools.org) or go to https://ic.npsne.org/campus/portal/norfolk.jsp . Then begin the application by selecting "Applications/Forms" in the left column. Online applications must be submitted and signed by an adult household member using an e-signature, which is created during the process. If you are new to the District or do not have a Parent Portal account, get started by picking up your Activation Key from the office of any school you have students attending. If applicable to your student, payment for these fees will be required in full at the time of registration and schedule pick-up. Again this year, you can pay for the required fees as well as the parking tag prior to schedule pickup. To do this, please log into the Infinite Campus parent portal and select the fees tab. You will be able to add the fee to your students fee tab from the drop down list. You can then go in and pay the fee. Please print a receipt showing your payment and bring along with you to schedule pickup. If you need assistance setting up your parent portal login or help going through the steps to pay the fee, please call the front office at 402-644-2529. Please read, in their entirety, the documents on the following links. Then print, sign, and bring to Registration & Schedule Pick-Up the Parent/Guardian Sign-Off Form for the 3 documents below. Reading these documents and signing the sign-off form is required. The following forms are required, as well. If opened in Adobe Acrobat, the forms can be filled digitally online and then printed and signed. If access to Adobe Acrobat is not available, the forms can be printed, filled out by pen, and signed. These forms must be brought to and handed in at Registration & Schedule-Pick Up. The following forms are optional. If opened in Adobe Acrobat, the forms can be filled digitally online and then printed and signed. If access to Adobe Acrobat is not available, the forms can be printed, filled out by pen, and signed. These forms must be brought to and handed in at Registration & Schedule-Pick Up. If your child will be participating in any athletics or activities, the following forms will be required. These forms are not currently able to be digitally filled, so please print, fill out with a pen, sign, and bring to and hand in at Registration & Schedule Pick-Up. If you have questions or concerns regarding the information presented on this page, please contact the Norfolk Senior High School at 402-644-2529.